This property's price has dropped from £215,000 to Asking Price £189,995. 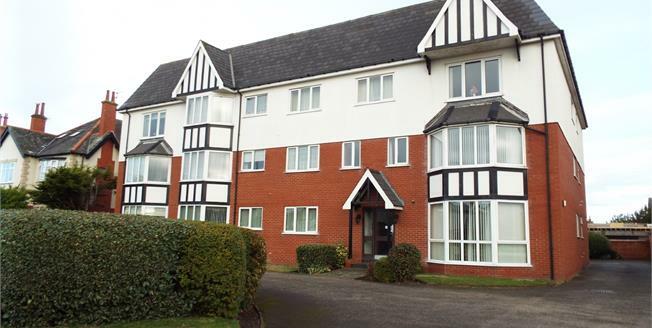 This spacious two bedroom ground floor apartment is situated in a very desirable development on Clifton Drive. There is a large reception area next to the fitted dining kitchen. The hallway houses three generous storage areas, leads to the bathroom and two double bedrooms, the master with modern en-suite. This apartment also has a garage to the rear. It is a must view as will sell quickly. Electric heater, carpeted flooring. Intercom system. Double glazed uPVC bay window facing the front. Electric heater and electric fire, carpeted flooring. Double glazed uPVC window. Fitted units, stainless steel sink with drainer, integrated, electric, double oven, integrated, electric hob. Double glazed uPVC window with frosted glass. Heated towel rail, tiled flooring. Standard WC, walk-in shower, pedestal sink.